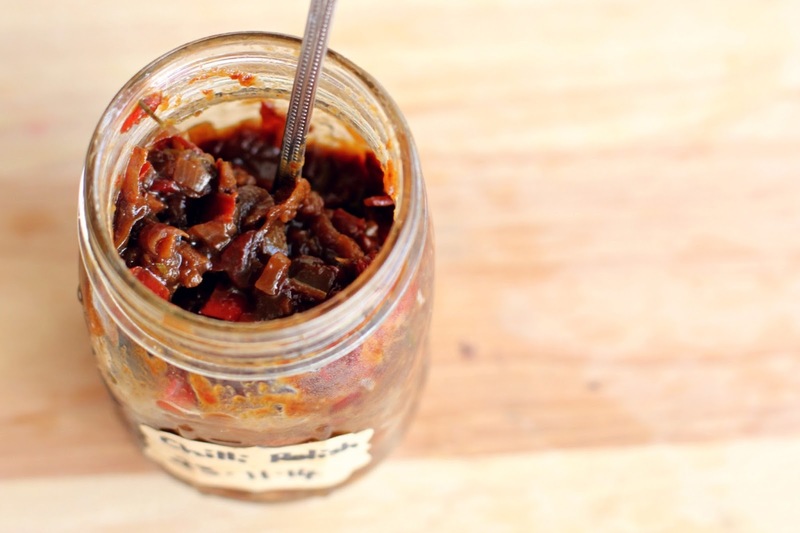 As promised, here is the recipe for the Capsicum Chilli Relish. Making relishes, chutneys and jams always fills me with such a deep satisfaction. There's just something about it. It's not something I do a lot of, as I only tend to make it when we've got excess produce that needs to be preserved. 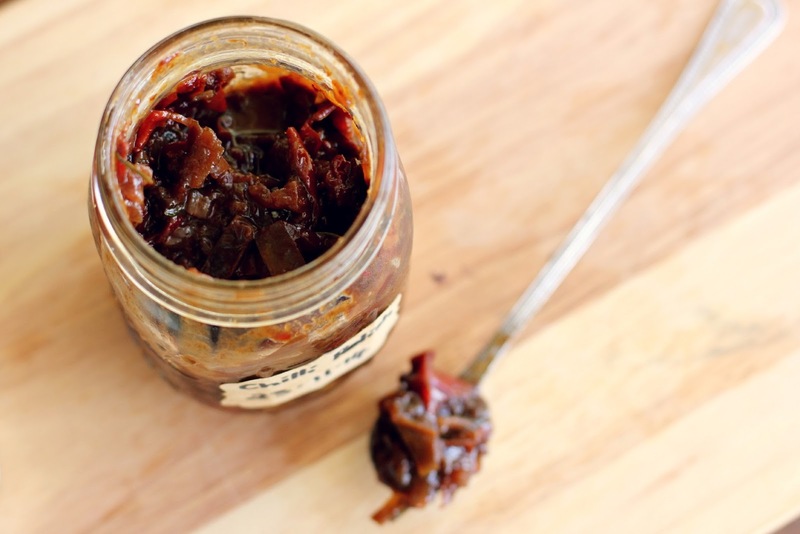 A friend gifted us a small jar, several months ago now, of a delicious Capsicum Chilli Relish. It was divine, and needless to say, that jar didn't last long. It was so yummy that we froze the extra capsicums we had growing, so that when our chilli plant flowered we could make the relish. And the other week I did just that. Jams and chutneys usually take quite a while to make, and they usually make a lot. This recipe is good in that it is relatively quick, so you won't spend all weekend stirring a pot, and it also only makes a small amount. From the below recipe I filled a 300ml jar. You can of course easily double the recipe if you want to make more. I'm waiting for more chillies to ripen, so I'll probably make another jar next weekend. We also used our home grown capsicums, but you can of course buy them from the shop if you don't have any. NOTE: You can also use the amount of chilli stated but double the other ingredients for a milder relish, or if you don't have many chillies on your bush you can just use 4-5 and keep the other ingredients at their original amount. Roughly cut up the chillies (without the seeds or inner flesh) and place in a small saucepan with capsicums, apple, onions and olive oil. Add the rosemary, bay leaves and cinnamon stick and give a little mix to combine. Cook very slowly for 20 minutes or so, until the mixture become rich, golden and sticky. You may need to drizzle a little more olive oil in half way through to avoid burning. Add the vinegar and sugar, and season with salt and pepper. When the liquid reduces and you're left with a lovely thick, sticky mixture, remove the cinnamon stick and bay leaves. Variation: If you want a thick sauce with no solids, blend with a stick blender.